We are excited to announce our new baby: The Scope Helmet! We presented the first design study at Eurobike 2017. In July this year, trade visitors to Eurobike were able to take a first look at the finished samples. We didn’t want you to have to wait until spring, so we’re already launching the Scope in September. 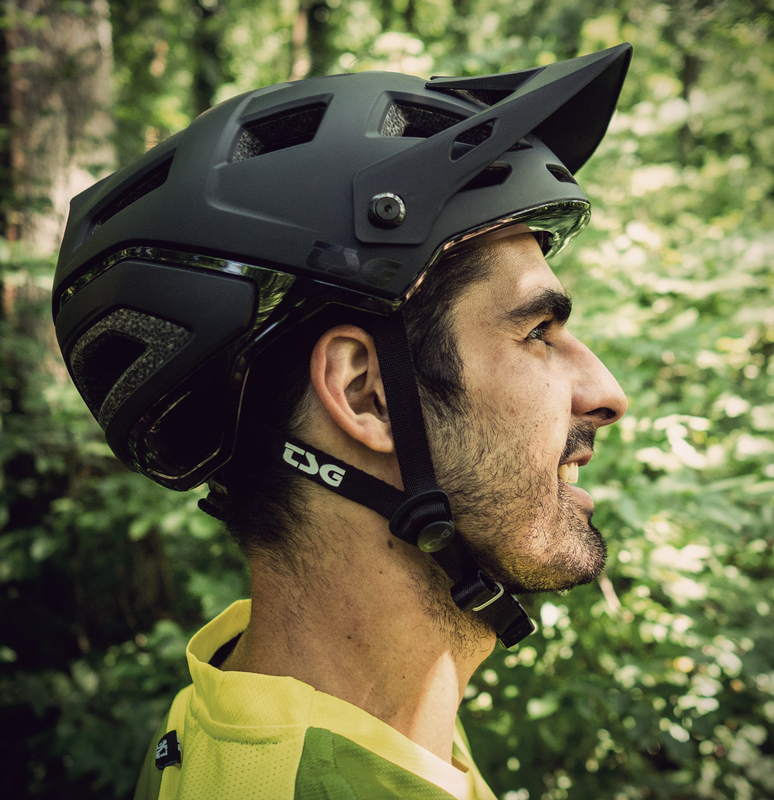 TSG team rider Amir Kabbani has been riding the Scope helmet and is stoked with it: “Its sharp design, efficient ventilation and good fit make it the ideal companion for every ride,” he says. The design of the Scope is inspired by modern vehicle design, expressed clearly through its spoiler and vent layout at the back of the helmet. The helmet features a range of colours, finishes (matt or glossy), surfaces and layers. Exposed EPS foam on the back of the helmet is a cool design element and a nod to the helmet’s protective core. 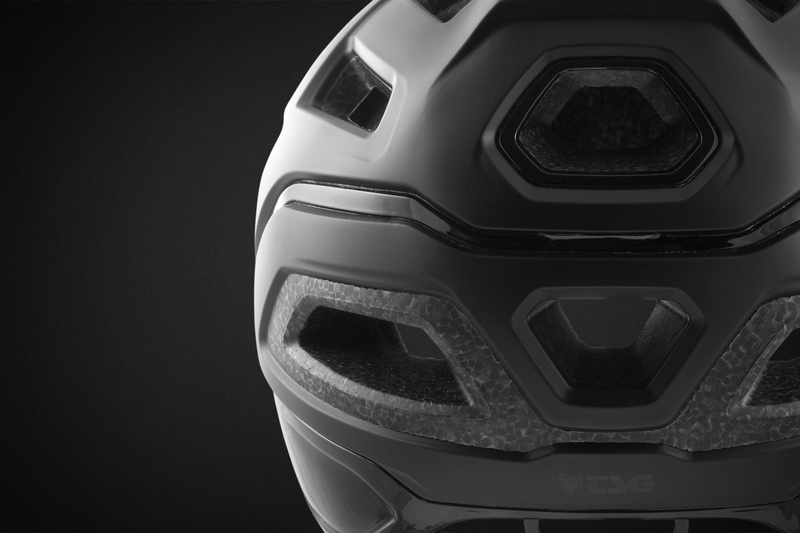 “Form and function are equally important in the helmet’s design,” explains TSG designer Jordi Torres. 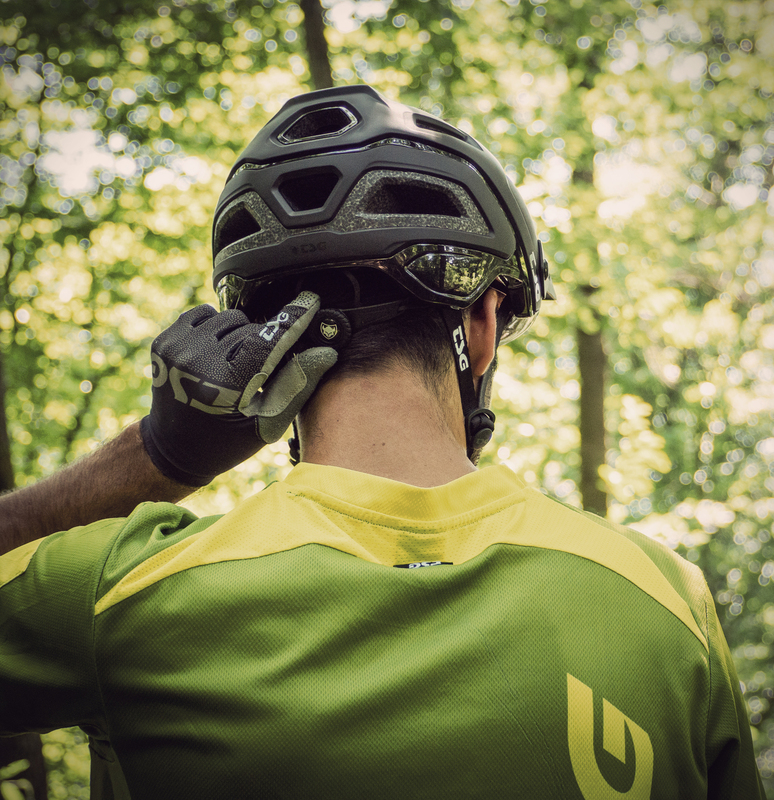 “Ventilation is essential to a mountain bike helmet, so we use the vents to emphasize the helmet look”. This fusion of function and design is the focus of the Scope. The visor is designed as a natural extension of the shell and highlights its contours. The helmet’s edges sublimate giving the Scope its unique appearance. The Scope is built using an in-mould process with the polycarbonate shell bonded to the inner EPS foam layer. 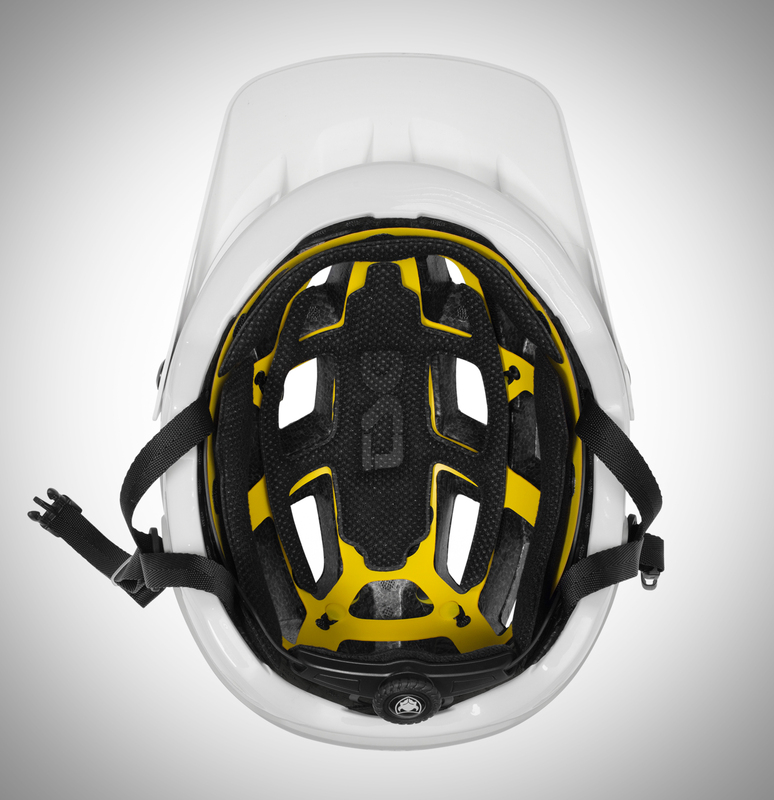 This creates a strong construction that is lighter and more durable than glued helmets. 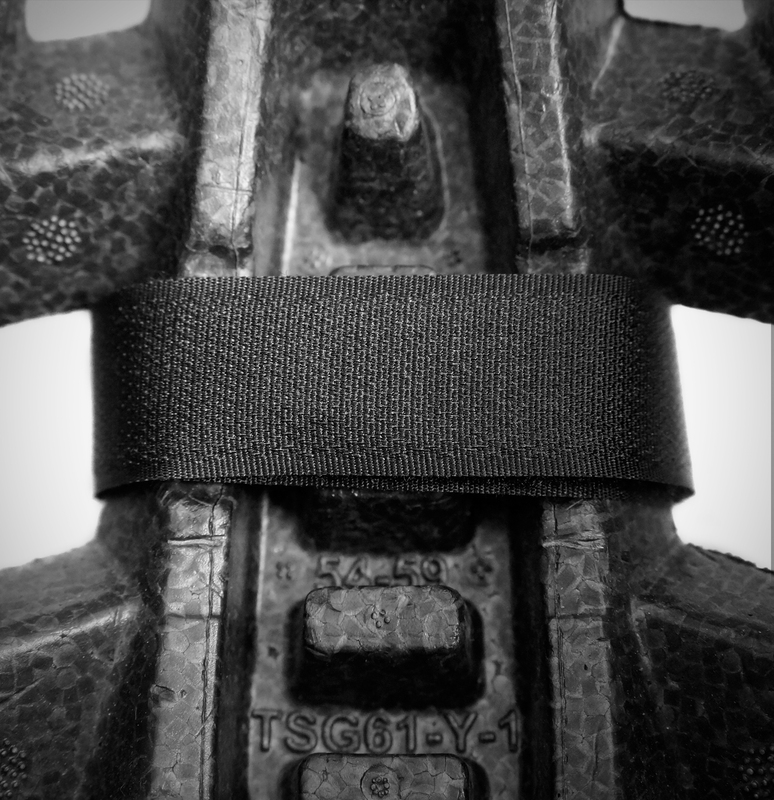 TSG also incorporates zonal foam thicknesses to maximize protection where most needed. 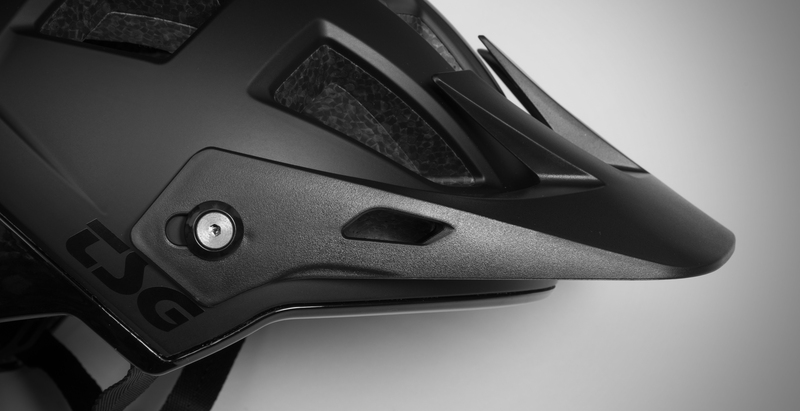 Additionally, strategic channels in the EPS foam maximise its crumple zone minimising impact shock to a rider’s head. The MIPS Protection System is optional in the Scope. 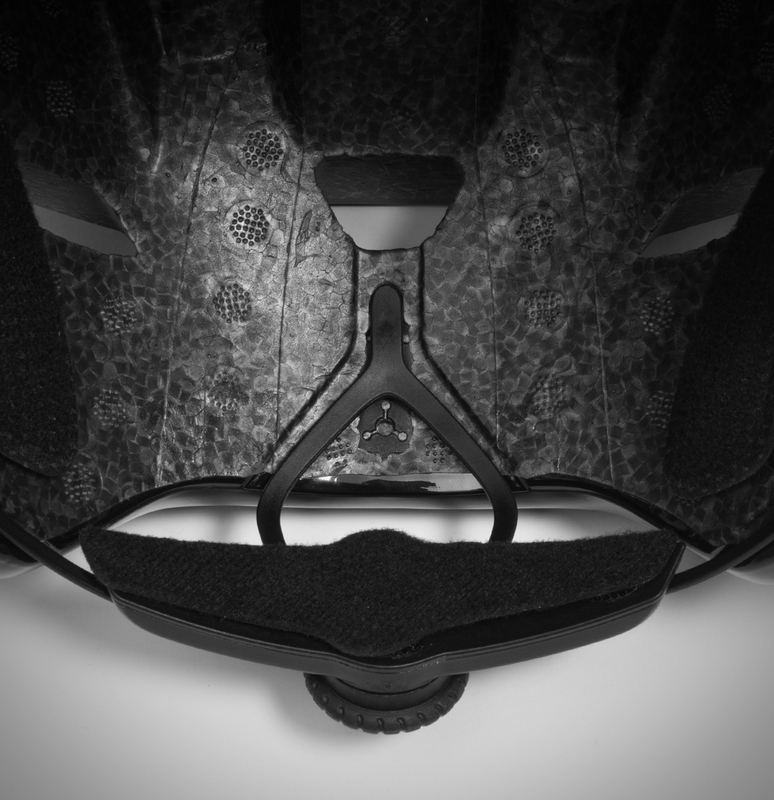 This system consists of a thin plastic layer between the EPS foam and the helmet cushions that allows movement in the construction on impact, reduces rotational injuries. 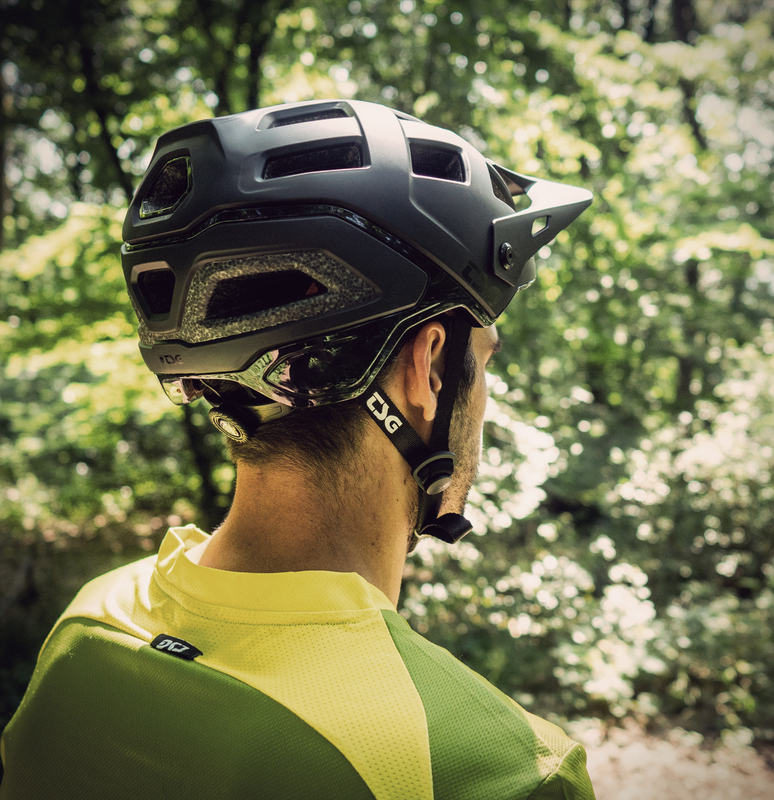 The fit of the Scope helmet is based on the balance of the TSG Trailfox helmet and is free of pressure points. The Scope sits low on the head, protecting key zones without limiting vision. The Dial-Fit system is fine-tunable to fit unique head circumferences. Thanks to the 3-point height adjustment it can be easily set to the axis of the head to increase safety and comfort. Each helmet is also supplied with soft inner cushions, in two distinct thicknesses, which allow a more customized fit. The Scope helmet is available in S/M (54-56 cm) and L/XL (57-59 cm) sizes. 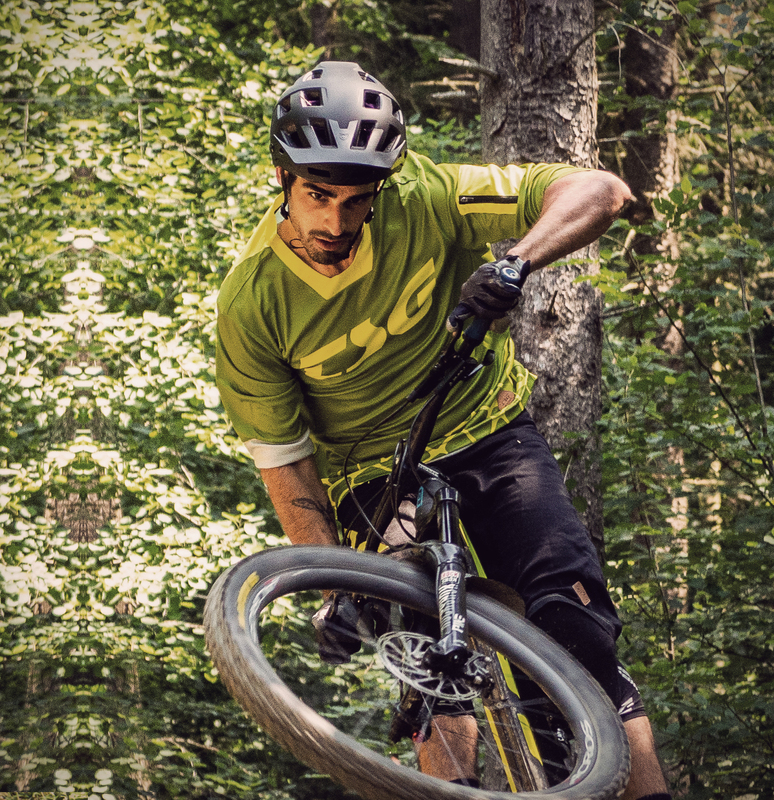 The Scope meets the demands of today’s enduro mountain bikers. 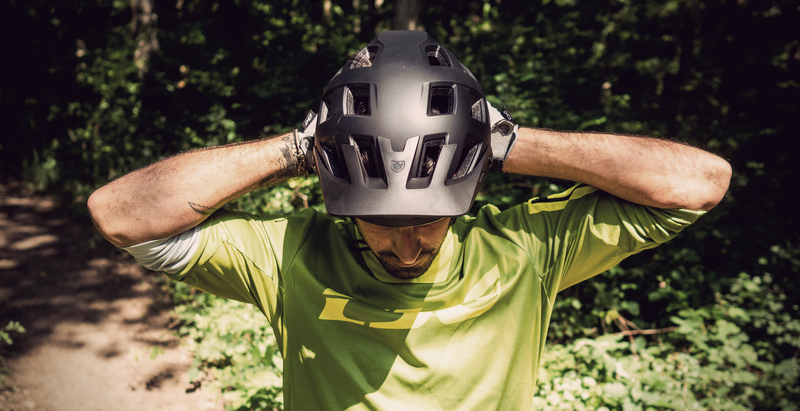 A channel inside the helmet makes it easier to attach a headlamp or camera. The straps fit into the EPS channels and so don’t exert pressure on the head. The visor is adjustable, removable and also available as a spare part. In its highest position it provides space for glasses and goggles when not being worn. Put the visor into the highest position to park your glasses when not in use. The pads are removable and washable and replacement pads will also be available . The ventilation system, which is perfectly integrated into the design, consists of 20 large vents and ensures that the rider stays cool on climbs and descents. The super light Scope was specially designed for the requirements of trail riders. 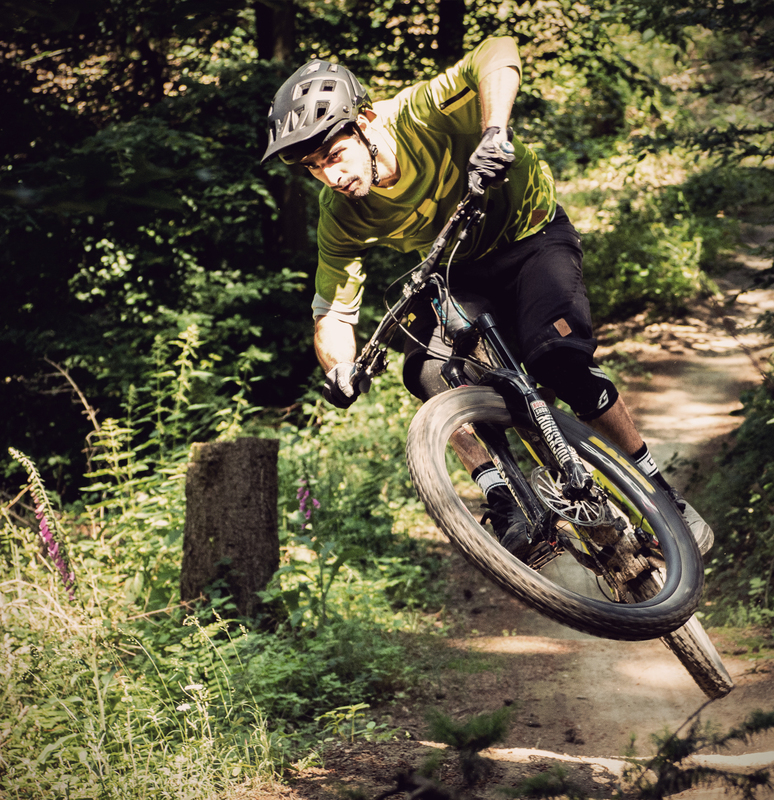 On ascents and rapid downhills its outstanding fit, comfort, protection and ventilation shine. 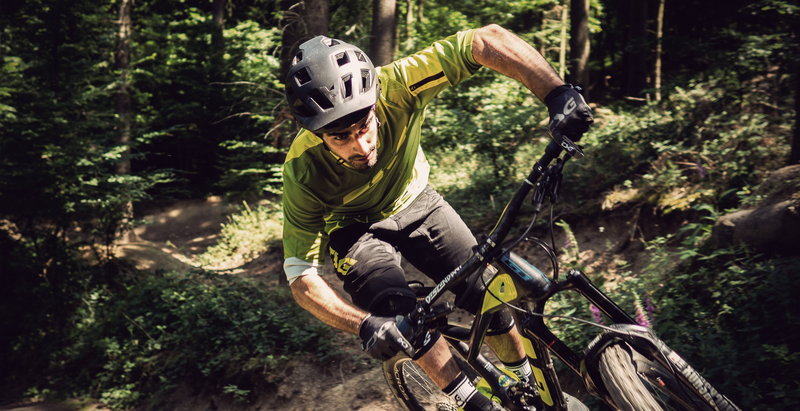 It is tested according to the European standard EN1078 and the requirements of the American CPSC for bicycle helmets. Read more about the test standards here. 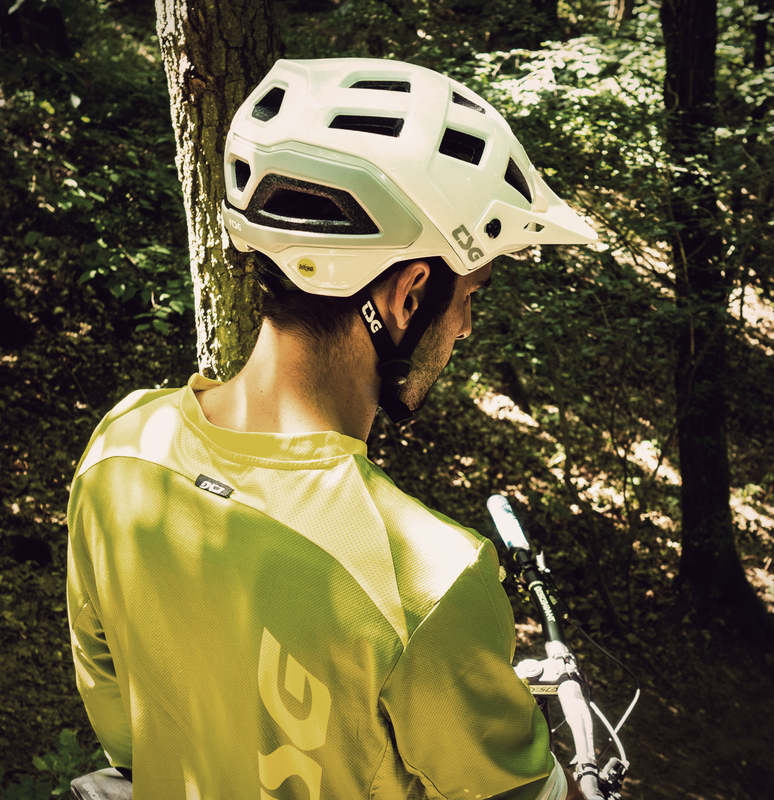 “An adjustable visor allows unlimited use of a goggle. 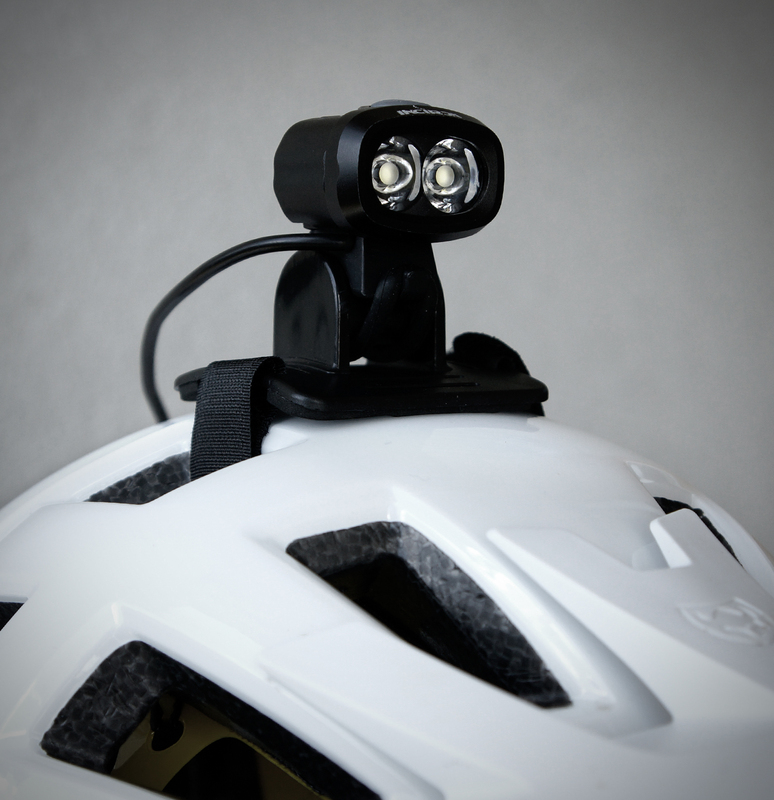 Helmet cameras and bike lamps can be easily mounted on the helmet: Thanks to a channel on the inside of the helmet, mounting straps do not exert any annoying pressure on the scalp. The low-cut rear provides optimum protection and the well thought-out ventilation system also proves itself in hot temperatures”, states Sacha. 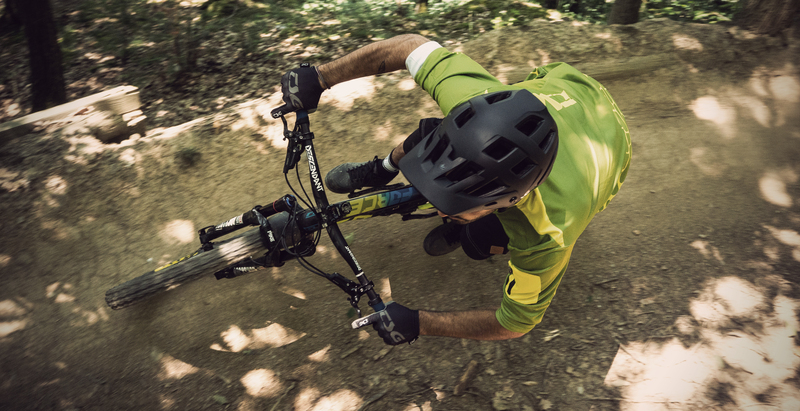 Mountain biker and world traveler Alban Aubert took the Scope to Papua New Guinea. His story should be released soon. Watch here what he thinks of the Scope helmet. Timo Pritzel also received one of the first samples after Eurobike and shows you some of the features. Scope and Scope Mips will be available in stores from September 2018. The MIPS-free model comes in three colour combinations: acid yellow-blue, army moss-orange and satin black. The Scope Mips is gloss white.